Wednesday 6th June 2018, Johannesburg, South Africa: Finnovation South Africa 2018 opened yesterday at the Radisson Blu Gautrain, Johannesburg, where more than 200 international Fintech experts, African digital pioneers, investors, policymakers, entrepreneurs and leading bankers gathered to harness the Fintech revolution. The high-profile event also explored how the major banks and financial institutions in South Africa and across the continent are addressing the digital transformation of financial services; and how their own digital innovations are being shaped and accelerated as a result of the gathering momentum of Fintech disruptors. The impact of Blockchain, Digital Wallets, Cryptocurrency, ICOs, Open Banking, Mobile Money, and Payments innovation are radically transforming the financial services landscape as Fintech disruptors intensify the challenge to incumbent banks in Africa and kickstart new opportunities. 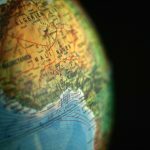 The unique environment for financial services in Africa is fertile ground for innovative Fintech players who are capitalizing on the opportunities to disrupt or leapfrog established business models to make ﬁnancial services more affordable, accessible and profitable across the continent. Government Policymakers, Incumbent Banks, Fintech Innovators, Investors, Multilateral Agencies and MNOs will drive a positive Eco-System for FinTech in Africa. From the perspective of a leading strategist on digital financial services, Paul Mitchell, Fintech and Blockchain Lead of PwC South Africa, highlighted that “South African financial services players, old and new, are uniquely positioned on a high growth continent to seize the opportunities to create innovative solutions and harness the impact of Fintech in Africa, which could well make a more significant contribution and impact than what we are currently seeing in the US and Europe. Customers’ behaviour, and their expectations around how financial services companies traditionally interact with them is changing rapidly. Fintech is accelerating these changes and the established players who recognise this are having to learn fast. This is leading to a reassessment of many elements of the customer experience and engagement process that will play out over the next few years. to digital banking services.” This highly interactive session was moderated by well-known media personality, Abe Wakama, CEO of IT News Africa. In-depth sessions continued throughout the day featuring bankers and FinTech pioneers deliberating on key issues such as Blockchain – from Hype to Reality in Africa; Banking &amp; AI; and the Cryptocurrency Revolution; as well as further conversational sessions including Founders’ Painpoints and Start-up Success Stories. High-profile speakers included Ned Phillips, Founder and CEO of Bambu; Jane Zhang, Founder &amp; CEO at Shell Pay; Camilo Ramada, Advisor at Business Finland Southern Africa; and Warren Hero, Chief Technology Officer of Microsoft. The day concluded with the much-anticipated Wolves’ Den session, which again lived up to its billing as a powerful and often ruthless session that enabled innovative Fintech start-ups and trail-blazers to real-time test the positive impact of their solutions with a panel representing savvy Investors/Venture Capitalists and seasoned African Fintech Pioneers. FinTech trail-blazers including PSI, Pay Genius, and Brown Sense all made their respective pitches while the “Wolves’ asked the tough questions and provided the illuminating insights during a dynamic closing session to the event. Finnovation South Africa 2018 is part of the FinTech Africa Series which regularly gathers leading stakeholders and influencers in the African FinTech ecosystem, from start-ups to banking powerhouses, across the key markets of Africa and internationally. 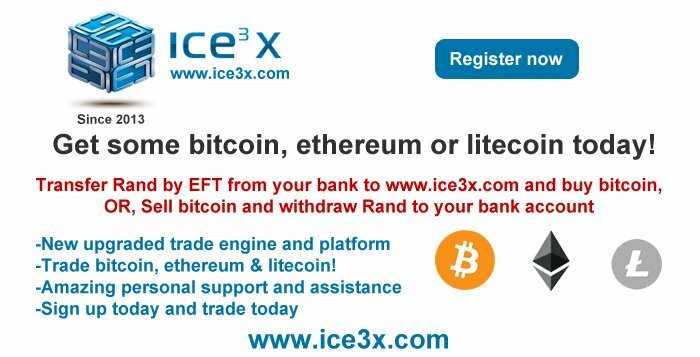 Ethico Live Limited UK is an international trade &amp; investment nexus that focuses on the digital transformation of financial services and the role that Fintech is playing in driving positive and profitable change through blockchain, AI, mobile money, finclusion, ethical finance/Islamic banking, payments, and data-driven innovations. We support our clients who are transforming the global financial markets through our high-profile engagement platforms that connect investors, government policymakers, bankers and game-changing start-ups from across the Middle East and Asia – with a special focus on the exciting high-growth markets of Africa. 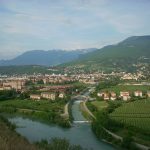 PREVIOUS Previous post: Rovereto: Italy’s Bitcoin Valley – What Can You Do There?